In line with current attempts to build bridges between film and translation, the present article applies the notion of accessible filmmaking (the integration of audiovisual translation and accessibility as part of the filmmaking process) to the theory and practice of documentary film. The first part of the article offers a brief historical overview of this genre, with particular emphasis on its key defining features and a discussion of how the translation of documentaries has been handled so far by filmmakers and translators. After a short introduction about the progress made up to date regarding the training, research and practice of accessible filmmaking, the second and main section of this article explores how this approach has been implemented in four recent documentaries: Joining the Dots (2012), A Grain of Sand (2014), Colours of the Alphabet (2016) and Notes of Blindness (2016). These films are used here to illustrate how translation and accessibility can be integrated in the film production workflow, to discuss the political and ethical impact of the use of subtitles in ethnographic documentaries and to analyse the role of translation and accessibility in the (pre)production and post-production stage, with special emphasis on the use of integrated titles. The early consideration of translation and accessibility in documentary films is presented here as an issue of ethics and responsibility for filmmakers vis-à-vis the participants in the film and its foreign and sensory-impaired viewers. ©inTRAlinea & Pablo Romero Fresco (2017). Quality is nowadays a key concern for researchers, trainers and professionals working in the field of audiovisual translation (AVT) and media accessibility. Yet, many of the efforts made to assess and increase quality in these areas are often thwarted by the currently prevailing model of industrial AVT (Pérez-González 2012). In this model, translation and accessibility are relegated to the distribution stage of the filmmaking process and outsourced to translators who work with tight deadlines, small remuneration and no access to the creative team of the films. This divorce between film(making) and translation is also a reflection (or perhaps the main cause) of the gap between film studies and AVT studies, two disciplines that have so far interacted much less than what could be expected given their overlaps and shared interests. Over the past years, different attempts have been made to bridge this gap and explore the potential for cross-fertilisation between the two areas (Chaume 2004, Díaz-Cintas 2004, Remael 2004, Nornes 2007, Cattrysse and Gambier 2008, Martínez Sierra 2012, Bosseaux 2015, Redmond and Batty 2015). This volume is further proof of this promising – if still incipient – trend, which can contribute to put forward a wider and more inclusive view on film. In an increasingly multilingual world, a monolingual approach to film studies is bound to leave behind the largest part of the viewers, not only foreign and sensory-impaired audiences but also viewers of the growing number of films that include more than one language in their original versions. 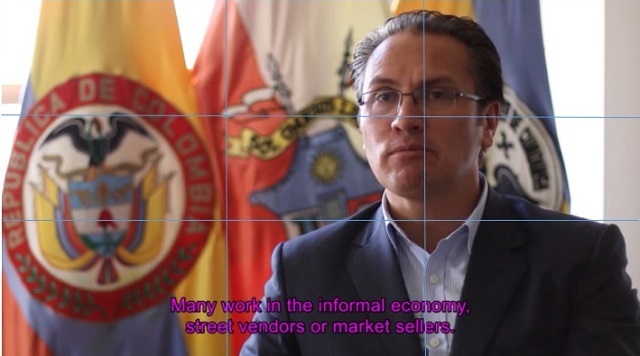 Against this background, the notion of accessible filmmaking (Romero-Fresco 2013), which proposes the integration of AVT and accessibility as part of the filmmaking process through collaboration between filmmakers and translators, offers an alternative approach to the current model of industrial AVT. The present article discusses this approach as it applies to the theory and practice of documentary filmmaking, a genre that offers great potential for collaboration between film and translation. The first two sections include a brief historical overview of documentary as a genre, its key defining features and how its translation has been approached so far from the point of view of filmmakers and translators. This is followed by a brief account of the progress made so far in the training, research and practice of accessible filmmaking. Finally, the main section of the paper presents a discussion of how translation and accessibility, with a special focus on subtitling, have been integrated into the (pre-)production and post-production stages of four different documentaries that were made following the principles of accessible filmmaking. The first documentary films were made long before the term ‘documentary’ was coined to refer to this genre. Some of the earliest examples that started to define the key elements of this type of film were the Lumière brothers’ Train Pulling into a Station (1895) and Workers Leaving The Lumière Factory in Lyon (1895), which allegedly prompted a member of the audience to shout ‘It’s life itself!’ (De Jong, Knudsen and Rothwell 2011: 340). In 1919, Russian filmmaker Dziga Vertov published his manifesto Kinoks-Revolution Manifesto, calling for a cinema that documents real life and reports truth. Three years later, Robert Flaherty made Nanook of the North (1922), widely regarded as the first feature-length documentary and one of the first ethnographic films ever made. Flaherty’s film includes some of the key characteristics of this genre: third-person narration, a subjective tone and the focus on the indigenous ‘others’. In 1926, John Grierson coined the term ‘documentary’ in his review of Flaherty’s second film, Moana (1926), thus setting the official birth of the genre (Chanan 2007). Soon, documentary filmmakers began to explore the boundaries between reality and fiction, reflected in the tension between Dziga Vertov’s realistic credo ‘life caught unawares’ and the more intrusive, life-arranged-for-the-camera approach adopted in his classic Man with the Movie Camera (1929) (Taylor 1998: 75). Further examples of the latter approach are the propaganda documentaries made by the US government in the 1930s, the tribute to the Nazi Party made by the acclaimed yet repudiated Leni Riefenshtal in Triumph of the Will (1934) and Luis Buñuel’s Land without Bread (1933), which combined surrealism and political activism to blur the lines between documentary and fiction. In the 1950s and 1960s, Vertov’s realistic ‘life caught unawares’ was put into practice by the emergence of direct cinema (US), cinéma verité (France) and free cinema (Canada and UK). The appearance of new lightweight cameras and synchronised sound allowed filmmakers to develop a new observational style that rejected rehearsals, interviews, commentaries, film lights and in general any sort of intrusion (De Jong, Knudsen and Rothwell 2011). Jean Rouch applied these principles to ethnographic documentaries in order to ‘show people without masks, without make-up, to catch them through the eye of the camera in a moment when they are not acting, to read their thoughts, laid bare by the camera’ (Vertov 1984: 41). In the 1960s and 1970s, documentary filmmakers joined the new civil rights, anti-war, women’s and gay rights movements, replacing the detached observational nature of cinéma vérité with a more personal and engaged approach. The introduction of camcorders favoured the production of more subjective documentaries and the spread of television provided a new home for this genre (De Jong, Knudsen and Rothwell 2011). The brief overview of some of the key developments in documentary filmmaking outlined in this section may help to explain why this genre is particularly suited to embrace an accessible filmmaking approach: the wide range of themes covered, the independence and creativity with which it can be produced, often free from the constraints of the big-budget movie industry, the commitment to show the life, culture and language of ‘the other’ as it is, etc. The four documentaries analysed in this article illustrate this variety of approaches, from the life-caught-unawares, ethnographic approach of The Colours of the Alphabet (2016) to the more innovative, docufiction style of Notes on Blindness (2016), they all conform to the age-old definition of documentary as the ‘creative treatment of actuality’ (Grierson 1933: 8). Indeed, real life may only need good editing, and not a script, to become a documentary, but it also needs translation. The next section explores how this has been tackled so far both by filmmakers and by the translation industry. The translation of documentaries varies greatly depending on whether it is handled by filmmakers or outsourced to professional translators. The first approach has been occasionally covered by film studies, whereas the literature on AVT has focused almost exclusively on the second approach, thus illustrating the above-mentioned gap between the two disciplines. Proof of the scarce attention devoted to translation in the literature on documentary film(making) may be found in the absence of any reference to translation in seminal books about the theory and practice of documentary such as Producing with Passion (Fadiman and Levelle 2008) or Creative Documentary (De Jong, Knudsen and Rothwell 2011). An interesting case in point is Michael Rabiger’s Directing the Documentary (2004), which aims to equip the readers with the necessary tools to produce and distribute their documentaries. Arguably, translation is one more of the tasks that these aspiring low-budget filmmakers will have to deal with, directly or indirectly. Yet, of its very comprehensive 648 pages, only half a page is devoted to the production of subtitles, offering the following tips: find a literate native speaker to do the translation, pick a clear typeface in yellow with black edging, compress dialogue to essentials, do not subtitle over shots and use ellipsis between subtitles (ibid: 252). Unlike in fiction films, subtitles in ethnographic films were regarded from the beginning as one of the creative ingredients of the filmmaking process, a ‘dramatic component of visual anthropology’ (Ruoff 1994) that required to be tackled collaboratively, often by filmmakers and non-professional translators (Lewis 2004), and from the editing stage (Henley 1996). All these elements, as well as the consideration by these filmmakers and scholars of the effect of subtitles upon the audience account for the pioneering role played by ethnographic film studies in the research and practice of accessible filmmaking. Subtitling is considered here as a linguistic, cultural and technical challenge, but one that encourages the creativity of the filmmakers and that allows them to develop new meanings and interpretations for their films (Zhang 2012). For MacDougall (1998), the main disadvantage in the use of subtitles is that the dialogue is packaged and acquires a somewhat prophetic nature, viewers lose freedom and become word-focused and filmmakers have to go against the ‘show, don’t tell’ formula that is traditionally recommended to enhance the visual nature of film. Yet, he points out that subtitles also present a great deal of benefits to filmmakers, as they can contribute to further the characterisation of the participants in the film and can help filmmakers to recontextualise, focus or narrow down their ideas. Subtitles are a ‘stamp of possession’ (MacDougall 1998: 174) on a film, the ‘textual eyes’ (Zhang 2012: 447) that allow filmmakers to project their particular interpretation and to speak to the audience while the participants in the film are speaking to each other. The writing and placing of subtitles involves considerable polishing and fine-tuning, but unlike the ex post-facto subtitling of a feature film, this remains part of the creative process, influencing the pacing and rhythm of the film as well as its intellectual and emotional content. Finally, ethnographic filmmakers have also discussed the use and implications of non-subtitling, an issue that is nowadays commonly debated in AVT research in the light of the increasing production of multilingual films that have this option at their disposal (Krämer and Eppler forthcoming). Non-subtitling is used in ethnographic films to enhance the visual nature of the viewing experience and to place the focus on people’s physiognomy, non-verbal forms of interaction and the language of music, which ‘need not be reduced to the mere function of communicating meaning’ (Trinh 1992: 114). Then again, non-subtitling is also acknowledged as a controversial decision, and one that can be seen as self-indulgent, ethnocentric, abusive towards the film participants and orientalist (Barbash and Taylor 1997: 429). At any rate, it would seem that just as the emergence of ethnographic filmmaking helped to give a voice to silent communities around the world mainly through the use of subtitles, it also contributed to raise the visibility of translation amongst an admittedly small number of filmmakers and film scholars. Unfortunately, the obvious connection between ethnographic filmmaking and AVT studies has until now never materialised, as shown (to mention one example) by the absence of ethnographic filmmakers in AVT publications and conferences such as Media for All and Languages and the Media and by the fact that ethnographic conferences and panels such as the 2011 ‘Subtitling Ethnographic Films: Knowledge and Value in Translation’ have so far fallen off the AVT radar. Given the current relevance of abusive (Nornes 2007), creative (McClarty 2012) and integrated (Fox 2016a) subtitling, the use of, and reflection on, subtitling by ethnographic filmmakers is now more relevant than ever and it shows that it is possible to integrate AVT as a creative element within the filmmaking process through the collaboration of filmmakers and translators. Identifying terms, understanding terms, finding the right equivalent, dealing with the absence or the inability to find an adequate equivalent, dealing with denominative variation, choosing between in vivo and in vitro terminology and avoiding wrong transcriptions. An oral input (original audiovisual product) will be captured in a written form (translation script); it will then be delivered orally by a voice talent and will finally be received audiovisually by the audience. In contrast, in subtitling, an oral input will be converted into a written output (subtitles) which will coexist with the original oral output. It stands to reason that a more holistic approach to translation could save some of the work currently involved in this process. Firstly, the transcription of the original footage at the beginning of the post-production stage could be done through respeaking instead of manually, which is supported by the positive results obtained by speech-recognition-based transcription in recent studies (Matamala et. al 2017). Secondly, if this transcription was performed by translators (some of whom are already trained as respeakers), they would be able to become familiarised with the documentary at an early stage and, once the final edit is ready for distribution, prepare the template for subtitles and SDH, which can then be used as a basis for translation into other languages. For this to happen, it is necessary to introduce the notion of translation and accessibility in the (post-)production process, as discussed and illustrated in the following two sections. The current industrial model that relegates AVT and accessibility to the end of the distribution process as add-ons is a profitable one for film producers. Often, the translated and accessible versions of a film make up as much as 60 per cent of its revenue for a cost of between 0.1 per cent and 1 per cent of the total film budget (Lambourne 2012). However, this model can also have a negative impact on quality. Filmmakers such as Ken Loach are now beginning to complain that their films’ vision is sometimes altered in translation and that they have little power to change it or, more worryingly, little knowledge that this is happening (de Higes Andino 2014). In an attempt to propose a different model, accessible filmmaking (Romero-Fresco 2013) aims to integrate AVT and accessibility as part of the filmmaking process, which requires the collaboration between the creative team of the film and the translator. Put it another way, accessible filmmaking involves the consideration during the filmmaking process (and through collaboration between the translator and the creative team of the film) of some of the aspects that are required to make a film accessible to people that cannot, or cannot properly, access it in its original form, including viewers in other languages and viewers with hearing or visual loss. Since it was first introduced, this approach has been applied to training, research and professional practice. Traditionally, film(making) courses have disregarded translation and accessibility issues, while postgraduate programmes in AVT do not normally include film(making). This is beginning to change, as postgraduate courses in filmmaking such as the Film Studies Masters at the University of Malta and the MA in Film Production at the ESCAC (Barcelona), the leading film school in Spain, now include classes on AVT and accessibility. Likewise, AVT courses are beginning to open the door to film-related contents, as shown by the collaboration between the Universitat de Vic and the ESCAC, the MA in Multimedia Translation at the Universidade de Vigo and especially the MA in Accessibility and Filmmaking at the University of Roehampton, where students learn not only how to make films but also how to make them accessible to viewers in other languages and viewers with hearing and visual loss. As far as professional practice is concerned, the first examples of accessible filmmaking are almost as old as cinema itself. They can be traced back to silent films, where intertitles were produced as part of the post-production process, often supervised by the filmmakers (Izard 2001), or to multiple-language versions (Vincendeau 1999), where films were made and remade in different languages and translation was an integral part shaping the production process. Since then, translation has only been integrated in the filmmaking process occasionally (such as in the case of ethnographic documentaries), but there are now promising signs showing a changing trend. Recently, and partly due to the emergence of multilingual films, more and more filmmakers are beginning to engage with translation from the production process and to collaborate with translators, as is the case of John Sayles (Lone Star 1996; Men with Guns 1997), Jim Jarmusch (Mystery Train 1989; Night on Earth 1991), Danny Boyle (Slumdog Millionaire 2008), James Cameron (Avatar 2009) and, more notoriously, Quentin Tarantino (Inglourious Basterds 2009) and Alejandro González Iñárritu (Babel 2009; The Revenant 2015), both of whom issued translation guidelines to their distributors in order to ensure that their vision for their films was maintained in the target versions (Sanz 2015). However, given the inflexible nature of industrial translation, where distributors have the power to decide against the translation wishes of recognised filmmakers such as Ken Loach and Quentin Tarantino (ibid. ), independent filmmaking offers an ideal platform for accessible filmmaking to be developed. This is the case of recent independent films that have integrated translation and accessibility from an early stage, such as Michael Chanan’s Secret City (2012), Enrica Colusso’s Home Sweet Home (2012), Elisa Fuksas’ Nina (2012), Alastair Cole’s The Colours of the Alphabet (2016) or the Emmy award-winning Notes on Blindness (Spinney and Middleton 2016). Interestingly, many of these filmmakers, when faced with the need to use subtitles in the original versions of their films or to engage with translation, have opted for the use of creative or integrated (sub)titles, thus playing with non-standard fonts, display modes, effects or positions in order to fulfil both a linguistic and an aesthetic function in the film (McClarty 2012). Linked to this, another factor that is contributing to the consideration of translational issues early on in the production process is the increasing presence of on-screen text in original films and series. This applies to the creative use of on-screen titling in TV series such as Sherlock (Gatiss and Moffat 2010-) but also to other fiction films, documentaries and series where the nowadays pervasive use of text-based communication is shown by means of on-screen text. It becomes obvious that the use of standard post facto subtitling for these films will create too much of a gap between the original viewers’ experience and that of foreign and sensory-impaired audiences, which can only be solved by working on translation/accessibility at an early stage. 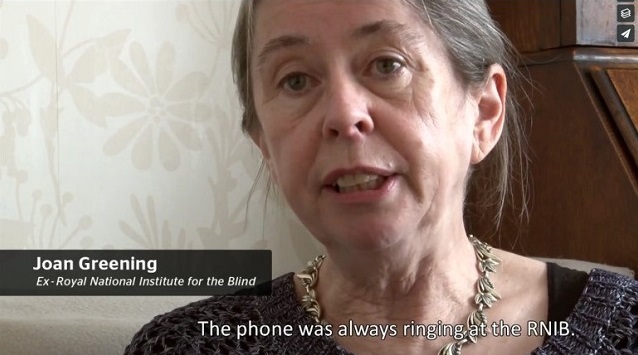 Part of the research conducted so far in the field of accessible filmmaking, which will be discussed in the following section, is exploring precisely how subtitling can be integrated as one more element in the mise-en-scene of the film and how this is received by the viewers in terms of opinion, comprehension, visual perception and sense of engagement (Kruger, Doherty and Soto Sanfiel 2015, Fox 2016a). All in all, the progress made so far in the integration of translation and accessibility as part of the filmmaking process shows that this endeavour is made easier when films are independent (or where the filmmaker has a final say), have a multilingual element and/or resort to abundant (and even creative) use of on-screen text. This explains why documentaries are particularly suited to accessible filmmaking, as will be shown by the four films discussed in the following section. Another little-discussed advantage in the use of independent documentaries (and independent films in general) is that it can encourage AVT studies to move away from the mainstream films that have dominated the material used for research and training in this field since its origins. This mainstream content often presents multiple copyright issues and offers little chance of interaction with its filmmakers, thus perpetuating the gap between film and translation. The four documentaries discussed in this section are Joining the Dots (2012), A Grain of Sand (2014), Colours of the Alphabet (2016) and Notes on Blindness (2016). 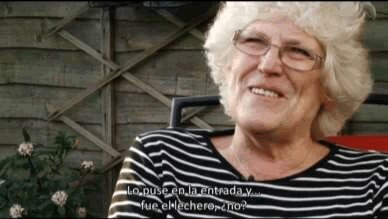 Joining the Dots (Romero-Fresco, 2012) is a short participatory documentary that tells the story of Trevor, who lost his sight at the age of 60. Following a period of depression, he found his way out with the help of audiodescription, which also enabled him to rekindle his passion for cinema and theatre. 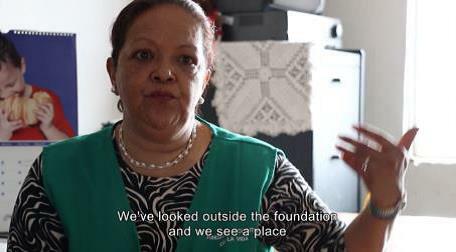 A Grain of Sand (2014) is a short observational documentary made by Kate Dangerfield and Arianna Avruscio in Ciudadela Sucre, Soacha (Colombia), about the construction of a playground in an urban village that suffers the consequences of a social crisis and the result of 50 years of armed conflict. Colours of the Alphabet (2016) is an 80-minute observational documentary directed by Alastair Cole that follows three Zambian children and their families as they enter the formal education system for the very first time in a class where they speak one language, the teacher another and together they must embrace the country’s only official language, English. Notes on Blindness (2016) is a creative docufiction about the theologist John Hull, who, after losing his sight in 1983, began keeping an audio diary that enables the film to explore loss, rebirth, renewal and the interior world of blindness. The film was directed by James Spinney and Pete Middleton and subtitled with integrated titles by Wendy Fox and the author of this article. Colours of the Alphabet will be used here to illustrate how translation and accessibility can be integrated in the film production workflow and to discuss the political and ethical impact of the use of subtitles in ethnographic documentaries. Joining the Dots, A Grain of Sand and Notes of Blindness will be analysed in relation to how accessible filmmaking can be implemented in specific terms at the (pre)production and post-production stage, with special emphasis on the use of integrated titles. Filmmaker Alastair Cole understood from the beginning that his documentary Colours of the Alphabet on multilingualism in Zambia would need to have translation at its core, not least because it would not be viewed by any audience without subtitles or some form of translation, as is often the case in multilingual films. In order to adopt an accessible filmmaking approach, he identified two requirements: ‘the early engagement with the translation and subtitling process’ and ‘a full understanding of the ethical and representational issues that are imbued within it’, both of which were made possible thanks to the ‘unique translation context’ of observational documentary film (Cole 2015: 132). As for the first requirement, instead of leaving subtitles for the end of the process, Cole regards them as ‘an intrinsic part of the filmmaking process that can be planned and engaged with from the start of production, and embraced as a powerful tool for emphasising perspective as well as forging characters and narratives’ (ibid: 134). Figure 1 shows how subtitling is integrated in Cole’s filmmaking workflow. Translation comes in before the editing process begins, when the rushes (unedited footage) spoken in Zambian languages are interpreted into English audio files. Selected sections of these files are then transcribed and subtitled as they are laid out on the editing timeline to form the first rough cut of the documentary, which includes proof reading and correction of the different languages used. 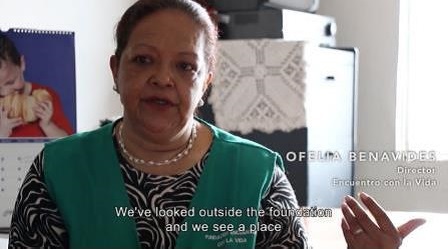 Further editing work results in a fine cut of the documentary with English subtitles that have been spotted and fine-tuned according to guidelines. Interestingly, an Italian version of the subtitles for this fine cut is created before the film is locked, which allows to identify any particular translational issue that may be solved by modifying the editing of the film, such as the ones discussed in Section 5.3 with regard to Joining the Dots and A Grain of Sand. As explained by Cole, this is an essential step ‘to enable the subtitles to influence the pacing and emotional engagement of the film where necessary and to permit the adjustment of any scene that would create significant problems in viewing with the subtitles’ (ibid: 138). Once this is done, the film is locked and a subtitle guide is created by Cole and the producer of language and accessibility, including the full original transcript, the English and Italian subtitles and a section with notes on specific moments that may be challenging from a translational viewpoint. The subtitlers of the foreign versions are expected to communicate directly with Cole if need be. In other words, it could be argued that the inclusion of translation and accessibility in the (pre-/post)production process is not only an issue of quality but also one of responsibility and trust for filmmakers towards their participants and their stories. As briefly mentioned in Romero-Fresco (2013), the practical implementation of accessible filmmaking does not need to involve a radical change in filmmaking, but rather the consideration of a series of issues that are not normally addressed. The two aspects discussed in this section belong to the (pre)production stage and are costume (as an element of the mise-en-scene) and framing (as an element of cinematography). A complex concept applied to the visual style in cinema, the mise-en-scene is described by Gibbs (2002: 1) as ‘the contents of the frame and the way they are organised’. For Bordwell and Thompson (1997/2007: 115), the mise-en-scene encompasses setting, costumes and makeup, lighting and staging. It is, for these authors, the most memorable aspect of filmmaking: the one that viewers remember more vividly and are more familiar with. The mise-en-scene allows directors to stage the event for the camera and essentially shows the director’s control over what happens in the film frame. As such, the mise-en-scene is also one of the elements that best epitomises the gap between film and translation. Filmmakers and film scholars have traditionally ignored the impact that the addition of letters at the bottom of the frame has on the visual style of a shot in which every aspect of the setting, costume, staging and lighting has been carefully considered. In some cases, the bright white or yellow letters of the subtitles may cause the completely opposite effect to the one intended by the dark lighting and the subdued tones used for a particular shot. The mise-en-scene will have changed dramatically, as will have the way in which the viewer watches the shot. However, none of that has been anticipated, designed, controlled or even seen by the filmmaker. It could thus be argued that the very defining feature of mise-en-scene (the director’s control over the visual arrangement of a shot), which in turn is the most memorable aspect of film for the viewers, is precisely what is lost in (industrial) subtitling, and it is what could be recovered with the more collaborative approach proposed in accessible filmmaking. The mise-en-scene is also a key element in documentary filmmaking. Depending on where the documentary is placed in the above-mentioned continuum between ‘life caught unawares’ and ‘life arranged for the camera’, the mise-en-scene in this genre may refer to what is found in a given setting or to what is constructed for a given setting. In both cases, it is an essential aspect to provide information and influence the viewers’ mood, attitude towards the characters and, crucially, their belief in the situation (De Jong, Knudsen and Rothwell 2011: 155). Of the elements included by Bordwell and Thompson in the mise-en-scene (setting, costumes and makeup, lighting and staging), costumes are one over which documentary filmmakers may have control, as it is often possible to consult with the main participants what they will wear for an interview that has been arranged beforehand. Patterns, contrast, colours and shapes are the four areas to look out for here and the usual recommendation is to avoid whites, blacks, reds, oranges, high-contrast combinations and busy patterns, all of which can have a negative impact on the viewers’ experience (Nulph 2007). However, if filmmakers are planning to reach foreign or deaf audiences through subtitles and wish to have control over (or be aware of) the mise-en-scene, then they must also consider the impact that subtitles may have on it, and in this case the way in which the subtitles interact (or clash) with the setting and the costume. This lesson was learnt too late by the director of Joining the Dots, where the colour and pattern of Mag’s costume and Trevor’s coffee table clash with the black and white letters of the subtitles (see Figure 2 and Figure 3). In the case of A Grain of Sand, the clash is caused both by the patterns in Ofelia’s costume and the high exposure of part of the background setting, which was only partially solved by the filmmakers through the use of a black outline for the subtitles (see Figure 4). Another issue to be considered with regard to setting and costume is the potential use of colours in the subtitles, which is common practice in many countries in the case of subtitles for viewers with hearing loss. Given that the colours are assigned according to the on-screen presence and importance of every participant, both the filmmaker and the cinematographer can often make an educated guess as to what colour will be used for each participant and bear it in mind during the shoot. In other cases, though, the importance of the participants will be decided during the editing process. In the shot from A Grain of Sand shown in Figure 5, for example, yellow subtitles would cause an obvious clash. In general, filmmakers who plan to use standard subtitles may be advised against using settings that are too cluttered at the bottom of the screen, as this will make it very difficult for the viewers to follow the dialogue. Be that as it may, it follows that it is not only directors but also cinematographers who should be considering the impact that subtitles (if this is the translation/accessibility mode chosen) may have on their work. Whereas the filmmaker uses the mise-en-scene to control what is filmed, cinematography encompasses how the elements in the mise-en-scene are filmed (Bordwell and Thompson 2007: xiii). This includes the photographic image, duration of the image and framing. The latter, and especially the distance of framing or shot scale (i.e. the use of extreme long shots, long shots, medium shots or close-ups, among others) is particularly relevant for subtitling. In order to illustrate the multiple conversations going on in the theatre between the actors, the audiodescriber and the audience before the play starts, the cinematographer of Joining the Dots opted for a long shot that includes fifteen people, while the sound editor allowed for some of their voices to overlap (see Figure 6). The image (the mise-en-scene and the shot size used by the cinematographer) and the sound tell the same story. However, when the scene is subtitled (see Figure 7), the translator must choose who to translate, in this case the off-screen narration, which leaves out five other conversations that are going on simultaneously in the scene. Although displayed together, the film and the subtitle are clashing head-on and telling a different story. The film is in ‘long-shot mode’ (overlapping voices by a group of people) and the subtitle is, as is normally the case, in ‘close-up mode’ (one voice or two voices shown consecutively). Needless to say, both deaf and hearing viewers can still see the group of people and hearing viewers can also hear the overlapping foreign voices, but the fact remains that standard subtitles cannot help but ‘single out subjects’ (MacDougall 1998: 169) and are often the verbal equivalent of a visual close-up. In scenes such as this one, and unless a different type of subtitle is used (see integrated titles in Section 5.3), subtitle viewers must live with a clash that does not exist for the viewers of the original film. Another relevant issue regarding framing, perhaps the most common one in the interaction between cinematography and subtitles, is the use of close-ups. This shot has become increasingly common over the decades (Salt 1999) and is now considered as one of the defining elements of the ‘intensified continuity style’ applied in modern filmmaking (Bordwell 2002). Close-ups, as other shots, are often framed following the rule of thirds, an imaginary grid made up of two horizontal and two vertical lines that has been used for harmonious composition in film, photography and painting since it was first coined by John Thomas Smith in 1797 in his book Remarks on Rural Scenery. According to this rule, important elements in the frame are normally placed at the intersection of the lines, called sweet spots (Mercado 2010: 7). In close-ups the participant’s eyes are often placed around a sweet spot, as is the mouth, which leaves little or no space below the chin for the subtitles to be displayed. 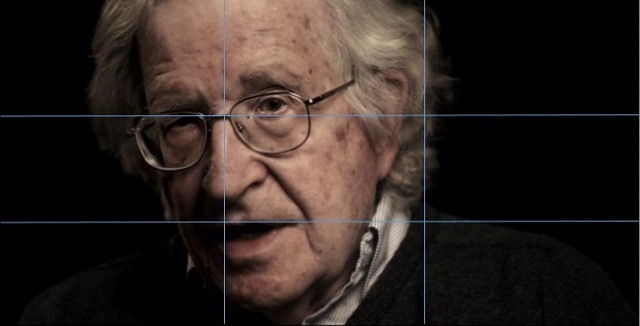 As can be seen in Figure 8 and Figure 9, whereas the original viewers of the documentary Requiem for the American Dream (2015) watch a close-up framed as per canonical rules, foreign and deaf viewers are presented with a shot that is not only cluttered but also prevents them from looking at the mouth of the speaker, which for hard-of-hearing viewers is essential to understand the dialogue. As shown in Figure 10 and Figure 11, the director and cinematographer of A Grain of Sand took this into account when framing the main interviews of the film, which adhere to the rule of thirds. The interviewees’ eyes are around one of the sweet spots and in this case there is enough space to display the subtitles at the bottom without covering their mouths. As a matter of fact, the use of a bigger shot size enabled the filmmakers to use the setting for characterisation purposes, thus complementing the information obtained by the costume. The viewer can see the gang member wearing a tracksuit and speaking outdoors, in front of a fenced yard, whereas the mayor is wearing a suit and speaking in his office in front of institutional flags. Needless to say, this does not mean that close-ups cannot be used along with subtitles, but rather that it may be useful for filmmakers (and cinematographers) to bear this in mind as they shoot. A way of addressing this issue would be for the cameraperson to have an indication through the viewfinder of where the subtitles would potentially be displayed, so that a decision can be made as to whether a particular shot is to be framed in a subtitle-friendly manner or not. 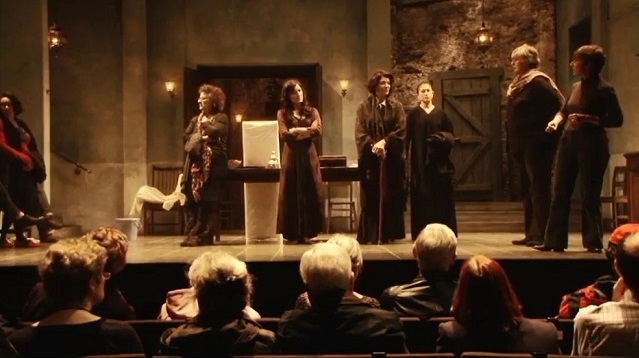 The previous section dealt with the relationship between translation and some of the elements used in the frame (costume and setting as part of the the mise-en-scene), including how they are filmed (framing as part of cinematography); in other words, the organisation of space in the production stage. This section focuses on the post-production stage and more specifically on the use of transition shots/cutaways and overlaps in editing (the organisation of time) and the production of integrated titles. Cutaways are part of the coverage obtained during the production, for instance, of an interview. They are used by editors to cut away from the main interviewee, show something else, and then cut back to the interviewee at a different time without jump cutting. Rabiger (2004) distinguishes between cutaways (a shot of something outside the frame) and an insert (an enlargement of something in the main frame). For this author, these shots, ‘drawing the viewer’s eye to significant detail, arise from (and are motivated by) the storyteller’s narrative intentions’ (ibid: 460). Similarly, transition shots allow editors to pivot from one sequence to the next and to link separate scenes (Shook et. al. 2000: 55). How these shots are edited has a very significant impact on the foreign, deaf and blind audiences watching the film. By using transition shots with no narration or interview over them, filmmakers can manage to bridge the gap between original and foreign viewers, as the translated film becomes, if only briefly, the same as the original one. These shots allow subtitle users to watch and not read, dubbing viewers to enjoy the image with no distraction from dubbing synchronies and blind audiences to listen to the description of the images. 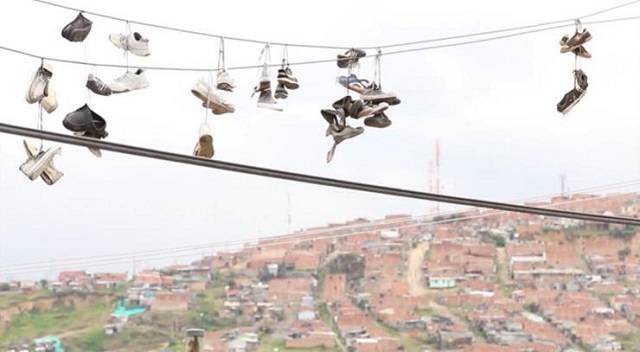 This is the case in the shot from A Grain of Sand shown in Figure 12, where every pair of shoes hanging from the wires stands for a dead person in the Colombian armed conflict. Original and foreign/deaf viewers are in a similar position to explore the shot and its meaning. For blind viewers to have a similar experience to original and foreign/deaf viewers, the shot would need to be displayed for longer, so that they can listen to the description of the image and then have some seconds to process it and think about it. If the filmmaker and/or the editor decide to use dialogue or narration over a cutaway or a transition shot, they should leave the shot on screen for long enough so viewers can read the resulting subtitle and view the image. The cutaway in Figure 13 creates a contrast between what the interviewee is saying (lack of solidarity in the community) and the image of two children helping each other to climb down a hill. The duration of the shot and the short length of the utterance, subtitled in only one line, gives the viewer enough time to read and watch. Finally, filmmakers should be particularly careful with the use of cutaways and transition shots that combine narration or interview and on-screen text, as they are difficult to process for target viewers. 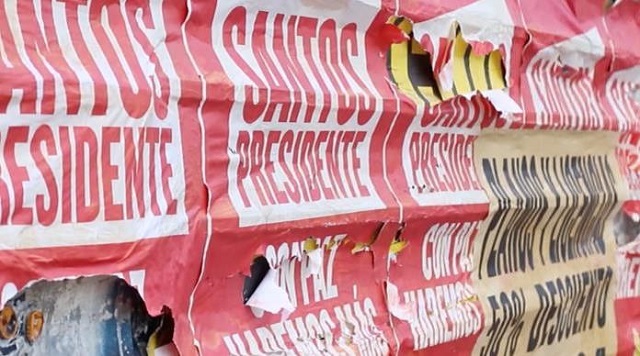 The target version of Figure 14 would need a subtitle to translate the interview that is being heard in this shot and another one to translate the content of the on-screen signs (‘con paz haremos más’), which will make the resulting image as difficult to process as cluttered and aesthetically different from the original. The clash between subtitles and on-screen captions with the participants’ names, explored by Fox (2016b), is particularly relevant in documentaries, since the use of captions is one of the defining features of this genre. Aesthetic considerations will be discussed below but, at any rate, extra time should be allowed for this type of shot. In the example shown in Figure 15, Joan’s words have been edited down to one subtitle line so that the viewers can have enough time to read both the caption and the subtitle. Another important element in the editing regarding translation is the use of overlaps, also known as overlap cuts or split edits (Salt 2002). This technique is used to bring the sound earlier than the images (J-cut) or the images earlier than the sound (L-cut) in order to avoid straight cuts and thus soften the transition between shots (Rabiger 2004: 231). In a J-cut, for example, the editor uses anticipatory sound or dialogue to draw our attention to the next shot. Just how many frames before the next shot this dialogue is brought forward depends on many factors, none of which has so far been related to translation. However, subtitling guidelines do refer to these types of cuts, as they often cause subtitles to run over shots (BBC 2016, Netflix 2016). The recommendation is that for dialogue starting more than 12 frames before the shot change, the subtitle should come in before this shot change, whereas for dialogue starting less than 12 frames before the shot change the subtitle should be displayed in the next shot. The former carries an additional risk: the subtitle will be shown across cuts and may be read twice, once in each shot. This is thus one more consideration to be taken into account by filmmakers and editors when they are preparing a J-cut or any other type of split edit. Finally, one of the most effective devices to implement accessible filmmaking is the use of integrated titles (Fox 2016a) or creative subtitles (McClarty 2012). These subtitles respond to the ‘specific qualities of the individual film text, giving the creative subtitler more freedom to create an aesthetic that matches that of the source text’ (ibid: 139) instead of being constrained by standard font types, sizes and positions. In short, they are ‘an aesthetic extension of the film itself’ (ibid: 149). The integrated titles produced for Notes on Blindness seek to achieve this through the use of four devices: the choice of typeface, the play with rhythm and music, the interaction with the image and their position as part of the mise-en-scene. Very little research has been conducted in AVT regarding the meaning-making and aesthetic role played by typeface in subtitling. Despite the evidence from other fields that typeface always carries meaning (Nørgaard 2009: 158) and that design is also information (Van Leeuwen 2009: 29), typeface has been as invisible in translation as translation has been in film. However, in an integrated and collaborative approach such as accessible filmmaking, it makes sense to consider how the typeface of the subtitles can contribute to the typographical identity of the film (Fox 2016b). For Notes on Blindness, after a discussion with the filmmakers, the typeface chosen was Adelle. This is a serif typeface more commonly used in print than in subtitles, where sans serif typefaces such as Arial, Verdana or Helvetica are normally the standard choices. The aim was to portray in the subtitle typeface the literary look that permeates the script and especially Jon Hull’s narration (see Figure 16). In contrast, a standard, sans serif Roboto was used for the sound coming from the TV or the radio, with an innovative use of the superscript to indicate the source of the sound (TV, radio, cassette, etc.) for viewers with hearing loss (see Figure 17). 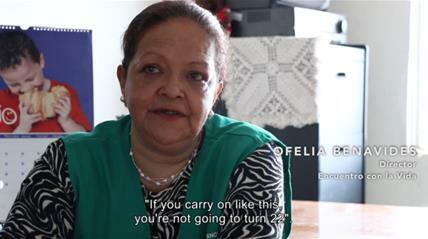 As pointed out above, documentaries are particularly prone to using on-screen captions with the participants’ names and subtitles. As well as discussing with editors the amount of time needed for both the captions and the subtitles to be read by the viewers, translators would also need to liaise with the graphic designers in charge of the on-screen titles. Both professionals are responsible for using text on screen and yet their lack of communication means that all too often the graphic designers’ careful choice of a typeface that is in line with the visual identity of the film is destroyed by the conventional look of the subtitles. 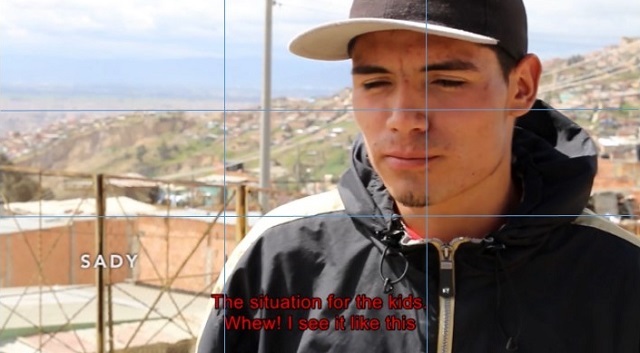 Figure 18 shows the different typographical options considered for the use of on-screen captions and subtitles in the documentary Out of Kibera (2012). In this example, the translator and the graphic designer considered different options to increase the legibility of the subtitle over a white background (the use of a black outline, the use of a banner, etc.) and different typefaces for the speaker’s captions. As pointed out by O’Sullivan (2016), much work needs to be done in AVT to find out what meaning is carried by every typeface, how this meaning is conveyed and especially the extent to which ‘typefaces and layouts have similar connotations in different languages’, in other words, an intercultural grammar of the typographic mode (ibid.). In more practical terms, it is important for translators and graphic designers to start working together so that the use (and look) of text on screen can be coordinated. As well as using typography to be in line with the look and feel of the film, integrated titles resort to rhythm and music to blend in the soundtrack and to the interaction with images and unconventional positioning to blend with the visuals. Firstly, add-on subtitles are used for some conversations, which allows the viewers to read the dialogue as they hear it and prevents the subtitles from pre-emptying information, as shown in Figure 19 and Figure 20. Add-ons are also used in A Grain of Sand to subtitle the main song for viewers with hearing loss (see Figure 21 and Figure 22). 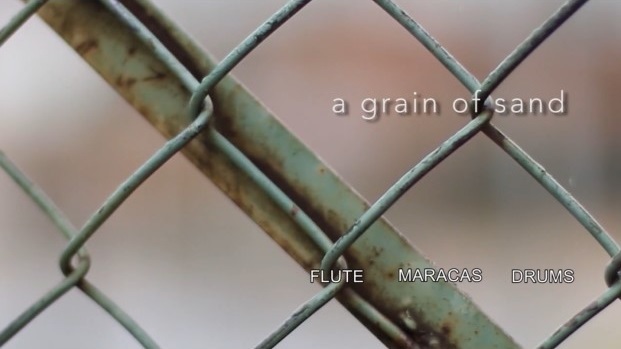 Given the importance of visual sound and rhythm for these viewers, a subtitle for every instrument used is displayed on the screen as the instrument makes its appearance on the soundtrack. As shown in Figure 23, integrated titles also blend with image and sound by, for example, fading in and out in instances where either the image of the film is fading or the narration is particularly slow and reflective. This calls into question why subtitles should simply pop on and off the screen in a way that is sometimes incoherent with the tone conveyed by both the image and the sound. This interaction with the image is sometimes achieved by combining spotting and film kinetics, in other words, by matching the disappearance of the subtitle (or in this case the on-screen caption) with the speaker’s hand movements, as in the example shown in Figure 24 and Figure 25. Finally, perhaps the most distinctive feature of integrated titles is their placement, which is based on a set of criteria established by Fox (see Wendy Fox in this issue) regarding speaker position, speaking direction, contrast, framing and presence of primary and secondary areas of focus. The aim is to ensure that the placement of the tiles is in line with the composition of the image while increasing legibility for the viewers. Indeed, if a shot has been framed so that the focus is placed on both sides of the frame, as in Figure 26, why should foreign and deaf viewers be forced to look down to the bottom centre of the frame, where nothing happens, thus wasting precious time to take in the details of the image? The first empirical reception study comparing standard and integrated titles in Joining the Dots (Fox 2016a) has shown promising results. The findings of the experiment show that while viewers take a little more time to find integrated titles than standard subtitles, the overall reading time is reduced. With integrated titles, the viewers have more time available to watch and explore the images and they show very similar eye-movement patterns to the viewers of the original film with no subtitles. Furthermore, these integrated titles seem to increase the viewers’ suspension of disbelief, producing an enhanced sense of presence in the world of the film. These findings suggest that accessible filmmaking may bring about a degree of similarity in the way in which films are received by the source and target audience that is not normally found in films that are translated at the distribution stage. However, much more research is needed to investigate the impact that an accessible filmmaking approach can have on filmmakers, translators and viewers of original and translated films. 120 years after the invention of cinema and almost a century after the first use of subtitling and dubbing in film, translators are still, despite their importance, amongst the least valued professionals in the film industry. Similarly, 80 years’ worth of research in film studies has found very little to say about translation, accessibility and the viewing experience of foreign, deaf and blind audiences. Against this background, and in line with recent attempts to bring together the theory and practice of film and translation, accessible filmmaking offers an alternative approach aiming to integrate translation and accessibility as part of the filmmaking process through collaboration between translators and filmmakers. The focus has been placed here on documentary films and on the reasons why this genre can potentially be very suitable for this approach. Documentaries adopting a realistic and observational life-caught-unawares approach, such as many ethnographic films, are based on a relationship of trust between the filmmaker and the participants that makes the filmmaker’s involvement in the translation of the film an issue of ethics and basic responsibility. On the other hand, more innovative, life-as-a-construct documentaries are often based on a sense of creativity that can open the door to new approaches to translation and accessibility. Finally, many documentaries, regardless of their style, make significant use of on-screen text (which concerns both original and translated films) and are made outside the constraints of mainstream fictional films, thus allowing translators to interact with the creative team of the film. It could be argued that the traditional inclination of AVT scholars and trainers to use mainstream fiction films for research and training has, in a way, helped to perpetuate the gap between film and translation, given the difficulties involved in interacting with the filmmakers and in manipulating the material due to copyright restrictions. Looking at the margins (Brown 2015), where some of these documentaries are made, may help scholars to explore new research possibilities and our students to discover that there is life outside the mainstream. It may also reveal new ways in which the creative treatment of actuality, which is the signature of this genre, can include foreign and sensory-impaired viewers from conception. Realistically, this approach will not replace the current industrialised model that keeps translation and accessibility as an afterthought in the film industry, but it can offer an alternative for those filmmakers who really wish to make film for all. Barbash, Ilisa, and Lucien Taylor (1997) Cross-Cultural Filmmaking, Berkeley, LA, London, University of California Press. Bordwell, David (2002) “Visual Style in Contemporary American Film”, Film Quarterly 55, no. 3: 16-28. ----, and Kristin Thompson (1997/2007) Film Art: An Introduction, New York, McGraw-Hill. Bosseaux, Charlotte (2015) Dubbing, Film and Performance: Uncanny Encounters, Bern, Peter Lang. British Broadcasting Corporation (BBC) (2016) “Subtitle Guidelines”, URL: http://bbc.github.io/subtitle-guidelines (accessed 1 December 2016). Brown, William (2015) “Politicizing Eye tracking Studies of Film”, Refractory: A Journal of Entertainment Media 25, URL: http://refractory.unimelb.edu.au/2015/02/07/brown/ (accessed 1 December 2016). Cattrysse, Patrick, and Yves Gambier (2008) “Screenwriting and translating screenplays” in The Didactics of Audiovisual Translation, Jorge Díaz Cintas (ed), Amsterdam/Philadelphia, John Benjamins: 39–57. Chanan, Michael (2007) The Politics of Documentary, London, BFI. Cole, Alastair (2015) Good Morning, Grade One. Language ideologies and multilingualism within primary education in rural Zambia, PhD diss., University of Edinburgh, UK. De Higes Andino, Irene (2014) Estudio descriptivo y comparativo de la traducción de filmes multilingües: el caso del cine británico de inmigración contemporáneo, PhD diss, Universitat Jaume I, Spain. De Jong, Wilma, Erik Knudsen, and Jerry Rothwell (2011) Creative Documentary. Theory and Practice, Harlow, Longman. Díaz-Cintas, Jorge (2004) “Subtitling: the long journey to academic acknowledgement”, Jostrans - The Journal of Specialised Translation 1: 50-70, URL: http://www.jostrans.org/issue01/art_diaz_cintas.php (accessed 30 May 2017). Fadiman, Dorothy, and Tony Levelle (2008) Producing with Passion: Making Films That Change the World, California, Michael Wiese Productions. Ferreira, Cláudia (2002) “A legendagem de filmes de divulgacao científica: Crıítica de traducao de um argumento” in A divulgacao científica nos media contributos, M.J. Faceira (coord), Avanca: Cine-clube de Avanca: 105-121. Fox, Wendy (2016a) “Integrated Titles - An Improved Viewing Experience? A Contrastive Eye Tracking Study on Traditional Subtitles and Integrated Titles for Pablo Romero-Fresco’s Joining the Dots” in Eyetracking and Applied Linguistics, Silvia Hansen-Schirra and Sambor Grucza (eds), Open Access Book Series Translation and Natural Language Processing: 5-29. ---- (2016b) “Should she really be covered by her own subtitle? Text elements in film and their graphical translation”, Translation Spaces 5, no. 2: 244-270. Franco, Eliana (2001) “Voiced-over television documentaries. Terminological and conceptual issues for their research”, Target 13, no. 2: 289-304. ----, Anna Matamala, and Pilar Orero (2010) Voice-over translation: An overview, Bern, Peter Lang. Gibbs, John (2002) Mise-en-scène: film style and interpretation (Short Cuts), London, Wallflower Press. Grierson, John (1933) “The Documentary Producer”, Cinema Quarterly 2, no. 1: 7-9. Hanoulle, Sabien, Véronique Hoste, and Aline Remael (2014) “The efficacy of terminology-extraction systems for the translation of documentaries”, Perspectives: studies in translatology: 359-374.
Henley, Paul (1996) “The Promise of Ethnographic Film”, Lecture given in honour of the late Professor Paul Stirling at the University of Kent at the 5th International Festival of Ethnographic Film. ---- (2010) The Adventure of the Real. Jean Rouch and the Craft of Ethnographic Cinema, Chicago, University of Chicago Press. Izard, Natalia (2001) “Doblaje y subtitulación: una aproximación histórica” in La traducción para el doblaje y la subtitulación, Miguel Duro (ed), Madrid, Cátedra: 189–209. Kaufmann, Francine (2008) “Le sous-titrage des documentaires: Défis et enjeux de l’établissement du texte de départ” in La traduction audiovisuelle. Approche interdisciplinaire du sous-titrage, Adriana Serban, & Jean-Marie Lavaur (eds), Bruxelles, De Boeck : 69-83. Krämer, Mathias, and Eva Eppler (forthcoming) “The deliberate non-subtitling of L3s in a multilingual TV series: the example of Breaking Bad”, Meta. Kruger, Jan-Louis, Stephen Doherty, and María T. Soto Sanfiel (2015) “Psychological immersion in a foreign language. The effect of same-language subtitles on English foreign language viewers”, paper presented at the Conference Media for All 6 on September 17th 2015. Lambourne, Andrew (2012) “Climbing the Production Chain”, paper presented at 2012 Languages and The Media Conference (Berlin, 21–23 November 2012). Lewis, E. Douglas (2004) Timothy Asch and Ethnographic Film, London, Routledge. MacDougall, David (1998) Transcultural Cinema, Princeton, NJ, Princeton University Press. MacDougall, David (2001-2002) “Colin Young, Ethnographic Film and the Film Culture of the 1960s”, Visual Anthropology Review 17, no. 2: 81-88. Martínez Sierra, Juan José (2012) “On the Relevance of Script Writing Basics in Audiovisual Translation Practice and Training”, Cadernos de Tradução 29, no. 1: 145–163. Matamala, Anna (2009) “Translating documentaries: From Neanderthals to the Supernanny”, Perspectives, 17, no. 2: 93–107. ---- (2010) “Terminological challenges in the translation of science documentaries: A case-study”, Across Languages and Cultures 11, no. 2: 255–272. Mercado, Gustavo (2010) The Filmmaker's Eye: Learning (and Breaking) the Rules of Cinematic Composition, Amsterdam, Focal Press. McClarty, Rebecca (2012) “Towards a Multidisciplinary Approach in Creative Subtitling” Monographs in Translating and Interpreting (MonTI) 4: 133–155. Netflix (2016) “Timed Text Style Guide: General Requirements”, URL: https://backlothelp.netflix.com/hc/en-us/articles/215758617-Timed-Text-Style-Guide-General-Requirements (accessed 1 December 2016). Nichols, Bill (2001) Introduction to Documentary, Indiana, Indiana University Press. Nørgaard, Nina (2009) “The Semiotics of Typography in Literary Texts. A Multimodal Approach”, Orbis Litterarum 64, no. 2: 141-160. Nornes, Abe. M. (2007) Cinema Babel. Translating Global Cinema, Minnesota, University of Minnesota Press. Nulph, Robert G. (2007) “Just What Should I Wear?”, Videomaker Magazine, October 2007, URL: https://www.videomaker.com/article/c14/12990-just-what-should-i-wear (accessed 1 December 2016). Orero, Pilar (2006) “Synchronization in voice-over” in A new spectrum of translation studies, José María Bravo (ed), Valladolid: Publicaciones de la Universidad de Valladolid: 255-264. O’Sullivan, Carol (2011) Translating Popular Film, Basingstoke: Palgrave Macmillan. ---- (2016) “Text on screen: (sub)titling and the 'typographic image”, paper presented at the EST Congress, at Aarhus University on 15th September 2016. Pérez González, Luis (2012) “Co-Creational Subtitling in the Digital Media: Transformative and Authorial Practices”, International Journal of Cultural Studies 16, no. 1: 3-21. 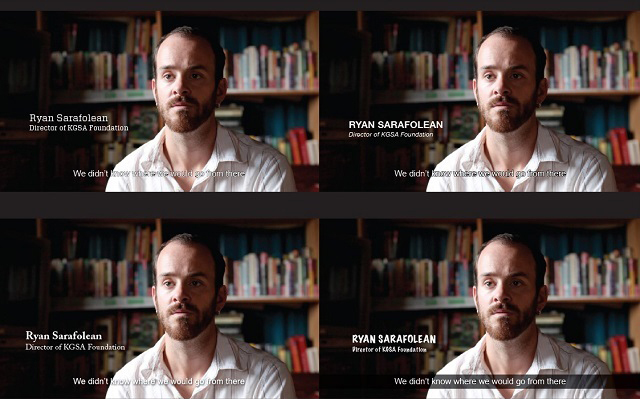 Rabiger, Michael (2004) Directing the Documentary, Amsterdam, Elsevier. URL: http://refractory.unimelb.edu.au/2015/02/06/volume-25-2015/ (accessed 1 December 2016). Remael, Aline (2004) “A place for film dialogue analysis in subtitling courses” in Topics in Audiovisual Translation, Pilar Orero (ed), Amsterdam/Philadelphia, John Benjamins: 103-126. Romero-Fresco, Pablo (2013) “Accessible filmmaking: Joining the dots between audiovisual translation, accessibility and filmmaking”, Jostrans - The Journal of Specialised Translation 20: 201–223, URL: http://www.jostrans.org/issue20/art_romero.php (accessed 30 May 2017). ---- (2018) “Eye-tracking, Subtitling and Accessible Filmmaking” in Seeing into Screens: Eye Tracking and the Moving Image, Tessa Dwyer, Claire Perkins, Sean Redmond and Jodi Sita (eds), London, Bloomsbury. Ruoff, Jeffrey (1994) “On the Trail of the Native's Point of View”, CVA Newsletter 2: 15-18, URL: https://www.dartmouth.edu/~jruoff/Articles/CVANewsletter.htm (accessed 1 December 2016). Salt, Barry (2002) “How They Cut Dialogue Scenes”, Cinemetrics, URL: http://www.cinemetrics.lv/dev/cutdial.php (accessed 1 December 2016). Sanz, Elena (2015) Beyond Monolingualism: a Descriptive and Multimodal Methodology for the Dubbing of Polyglot Films, PhD diss, University of Edinburgh, UK. Shook, Fred Shook, John Larson and John DeTarsio (2000) Television Field Production and Reporting, Amsterdam, Focal Press. Taylor, Richard (1998) (2nd ed.) Film Propaganda: Soviet Russia and Nazi Germany, London, New York, Tauris. The Guardian (2004) “Cinema verité”, The Guardian (editorial), Friday 23 July 2004, URL: https://www.theguardian.com/news/2004/jul/23/leadersandreply.mainsection (accessed 1 December 2016). Thomas Smith, John (1797) Remarks on Rural Scenery, London, Joseph Downes. Trinh, T. Minh-Ha (1992) Framer Framed, New York, Routledge. Van Leeuwen, Theo (2009) Introducing Social Semiotics, London, Routledge. Vertov, Dziga (1984) Kino-eye: The Writings of Dziga Vertov, Berkeley, LA, London, University of California Press. Vincendeau, Ginette (1999) “Hollywood Babel: The Coming of Sound and the Multiple-Language Version” in “Film Europe” and “Film America”: Cinema, Commerce and Cultural Exchange 1920-1939, Andrew Higson and Richard Maltby (eds), Exeter, University of Exeter Press: 207–225. Zhang, Jinghong (2012) “The Interaction between Visual and Written Ethnography in Subtitling”, Visual Anthropology: Published in cooperation with the Commission on Visual Anthropology 25:5: 439-449. A Grain of Sand (2014), United Kingdom, Kate Dangerfield and Arianna Avruscio. Avatar (2009), USA, James Cameron. Babel (2009), USA, Alejandro Gómez Iñárritu. Charlotte Gray (2001), USA, Gillian Armstrong. Home Sweet Home (2012), United Kingdom/France, Enrica Colusso. Inglourious Basterds (2009), USA, Quentin Tarantino. Joining the Dots (2012), United Kingdom, Pablo Romero-Fresco. Land without Bread (1933), Spain, Luis Buñuel. Lone Star (1996), USA, John Sayles. Man with the Movie Camera (1929), Russia, Dziga Vertov. Men with Guns (1997), USA, John Sayles. 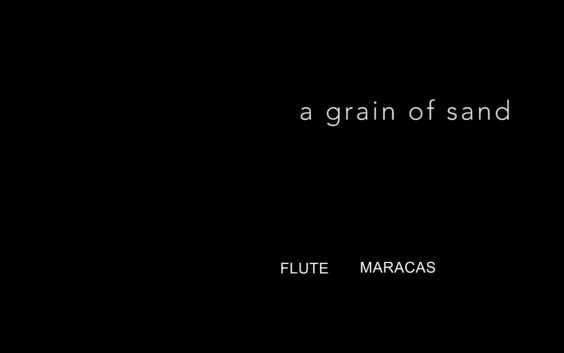 Moana (1926), USA, Robert Flaherty. Mystery Train (1989), USA, Jim Jarmusch. Nanook of the North (1922), USA, Robert Flaherty. Night on Earth (1991), USA, Jim Jarmusch. Nina, (2012), Italy, Elisa Fuksas. Notes on Blindness (2016), United Kingdom, James Spinney and Pete Middleton. Out of Kibera (2016), United Kingdom, Pablo Romero-Fresco. 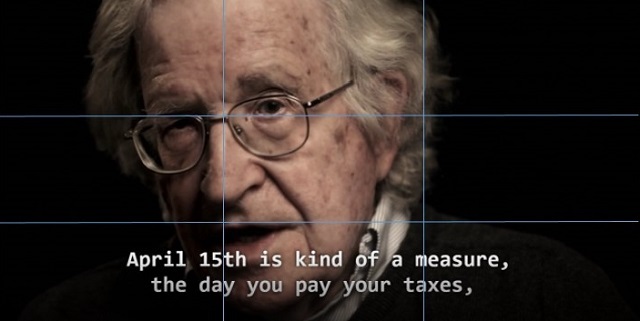 Requiem for the American Dream (2015), USA, Kelly Nyks, Peter D. Hutchison, Jared P. Scott. Secret City (2012), United Kingdom, Michael Chanan. Sherlock (2010-), United Kingdom, Mark Gatiss and Steven Moffat. Slumdog Millionaire (2008), United Kingdom, Danny Boyle. The Colours of the Alphabet (2016), United Kingdom, Alastair Cole. The Revenant (2009), USA, Alejandro Gómez Iñárritu. Train Pulling into a Station (1985), France, Auguste and Louis Lumière. Triumph of the Will (1934), Germany, Leni Riefenshtal. Workers Leaving The Lumière Factory in Lyon (1985), France, Auguste and Louis Lumière. Unlike Nornes (2007) and McClarty (2012), Fox (2016) avoids the term ‘subtitle’ and refers instead to (integrated) titles, which highlights the fact that they are placed directly into the picture and not necessarily at the bottom of the screen. An interesting example of consideration (and eventual refusal) of subtitles in the production process can be found in O’Sullivan (2011: 28-29) with regard to Charlotte Gray (Armstrong, 2001). Even if the translator had chosen to subtitle two of those conversations, standard subtitles could only show them consecutively and not simultaneously. Pablo Romero Fresco is a Ramón y Cajal grantholder at Universidade de Vigo (Spain) and Honorary Professor of Translation and Filmmaking at the University of Roehampton (London, UK). He is the author of the book Subtitling through Speech Recognition: Respeaking (Routledge) and the editor of The Reception of Subtitles for the Deaf and Hard of Hearing in Europe (Peter Lang). He has collaborated with several governments, universities, companies and user associations around the world to introduce and improve access to live events for people with hearing loss around the world. He is the leader of the EU-funded projects “MAP: Media Accessibility Platform” and “ILSA: Interlingual Live Subtitling for Access” and of the international research hub OGAM (Galician Observatory for Media Access). Pablo is also a filmmaker and has developed the notion of accessible filmmaking, the integration of translation and accessibility as part of the filmmaking process. His first documentary, Joining the Dots (2012), was used by Netflix as well as schools around Europe to raise awareness about audiodescription.